Add diluted custard powder in to it and sautÃ© it till it become thick. Dissolve the jelly powder in 400 gm of hot water and stir it dissolved. Refrigerate it till jelly is firm. 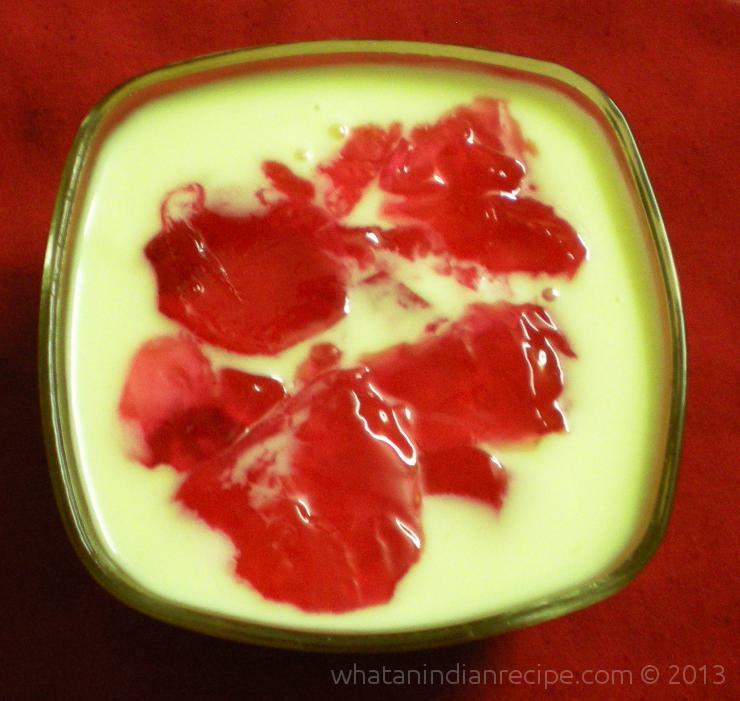 On the time of serving, pour custard in a serving bowl and add toping of jelly into it.